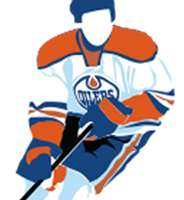 The Edmonton Oilers have traded 24yr old center Sam Gagner to the Tampa Bay Lightning for 28yr old winger Teddy Purcell. Gagner never seemed to improve in Edmonton from his rookie season way back in the 07/08 season where had a career high 49 points as an 18yr old. He’s never been able to get to the next level offensively or play the strong 2-way game that the Oilers desperately need and this past season the majority of the fan base in Edmonton turned on the young center, and apparently so has Craig Mactavish. In Gagner’s 7 seasons with the Oilers he has played under 5 different head coaches which I’m sure had a substantial impact on his development, I’m eager to see how he performs in a more structured situation in Arizona. Thats right Arizona! Soon after the trade to Tampa, the lightning traded Gagner and BJ Crombeen to the Arizona Coyotes in exchange for a 6th rd draft pick. The Lightning also retained 1/3 of Gagners salary in the deal. This is the new NHL where GM’s are willing to trade good players on bad contracts for very little return so that they can make cap room for UFA hunting. This new NHL is very interesting for a team like the Oilers who have about $20M in cap space available before signing Jeff Petry and Justin Shultz, they’re is a great position to make deal similar to what the Coyotes did to acquire Gagner and Crombeen. Take the Boston Bruins for example who have under 6M in cap space to resign RFA’s Tory Krug and Matt Bartkowski and replace the offense of Jerome Iginla, they would love to rid themselves of Chris Kelly’s $3M cap hit. Does a trade sending Chris Kelly and Jonny Boychuk (3.367M cap hit) to the Oilers in exchange for a pick and prospect make sense for both sides? Boston would clear up 6.3M in cap space while the Oilers would add a good top 4 right handed defenseman and a 4th line center to a team that desperately needs these types of players. Of course Boychuk and Kelly would need to waive no trade clauses to make the deal happen but this is the type of deal MacT needs to be looking for to improve the team. This entry was posted in Rumors, Trades, Uncategorized on June 30, 2014 by jtunnicliff.